The Jumpstart Our Business Startups Act, commonly known as the JOBS act, is inherently a great thing for small businesses. Part of this piece of legislation will serve to amend archaic rulings regarding the advertising of equity issuances to the public. This is aimed at allowing ordinary unaccredited investors the opportunity to have startups advertise their equity offerings to them, and it will also serve to make it easier for accredited investors to invest in early stage companies. These rules will eventually change the options available to small companies when they seek crowdfunding dollars. While these initiatives sound true to their name in seeking to help ‘Jumpstart’ startups seeking early stage investors, the legal ramifications of such amendments are tricky to say the least. The laws that the JOBS act is attempting to amend were put in place in the 1930’s to help protect grandma and grandpa, or any unaccredited investors making less than $200,000 annually or who have less than $1 million in assets, from being swindled out of their retirements by a questionable small business seeking investments. It is for this reason that lawmakers are moving with caution as they attempt to fine tune the amendments that the JOBS act is calling for while still protecting all potential investors. 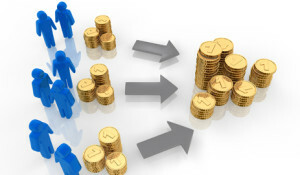 Without reading all of the crowdfunding exemption of the JOBS Act, here are a couple of points you will want to be vigilant of before you decide to invest in an equity-based crowdfunding campaign. Newsflash, Brooklyn, NY, March 4, 2013 – The new industry evaluation organization topPRagencies ranked Expedition on sixth place in its ranking of top PR agency providers. topPRagencies evaluates and ranks PR agencies in the industry based on their core industries and their areas of service. The dog days of summer have begun; time to whip out a woolen cardigan for the office. It’s a summer ritual in New York. Outside the temperatures go up, inside office buildings the temperatures drop. As I am writing this, it is freezing cold in here. As I forgot to bring a warm blanket, I make frequent runs to the water cooler to get hot tea. It is not the first time that I feel like working in an ice box. In fact, it’s seasonal. Since I came to New York many years ago, I witnessed the peculiar appearance of desk heaters, cellophane wrapped vents, colorful Pashmina scarves and thick sweaters in offices around summer time. However, with the backdrop of rising energy prices, the availability of energy management systems and a sleuth of green building initiatives, it still surprises me that little has changed since my first encounter with the summer chill. Stories and discussions have been abuzz of New York City moving up the ranks as an incubator for tech companies. It is now the fastest growing tech center behind Silicon Valley, according to the Center for an Urban Future. Blinders were removed for good at a recent iNY event at the SUNY Levin Institute. More than 150 investors, entrepreneurs, and supporters of economic development convened to discuss New York State’s innovation road map. SUNY, the Empire State Development and others are centered on connecting talent, capital and business expertise in New York State to fuel entrepreneurship, job creation and socio-economic development. In a 2010 study1 conducted by UBS and INSEAD, it was noted that the charitable cause which Asian families most supported was education. We’ve all heard the adage, “When you educate a girl, you educate a community, or a generation, or even a nation.” How is that? In June I had the opportunity to attend the International Cloud Computing Expo 2012 in New York. The flagship theme was Big Data & Cloud Computing. The four-day event was packed with speaker sessions and learning tracks, along with floor exhibits where IT and cloud vendors presented their latest services and products to attendees from 48 countries. This was the first time I attended a cloud expo as a volunteer. Part of my volunteering job was to help with registering the attendees for the speakers’ sessions. I was also given the freedom to attend any speaker sessions and mingle with other IT and cloud professionals. My ultimate goal was to learn about how cloud and big data were changing the tech industry. With Sustainability Rising on the C-Suite Agenda, is Green IT a Game Changer? Green IT continues to be one of the most discussed topics this year, along with virtualization and cloud computing. Those of us who have been in IT know very well that some of these things are nothing new. When the old things come back with new names, however, it usually means that they are ready for primetime, but not always.